What kind of story is behind this handmade dresses? 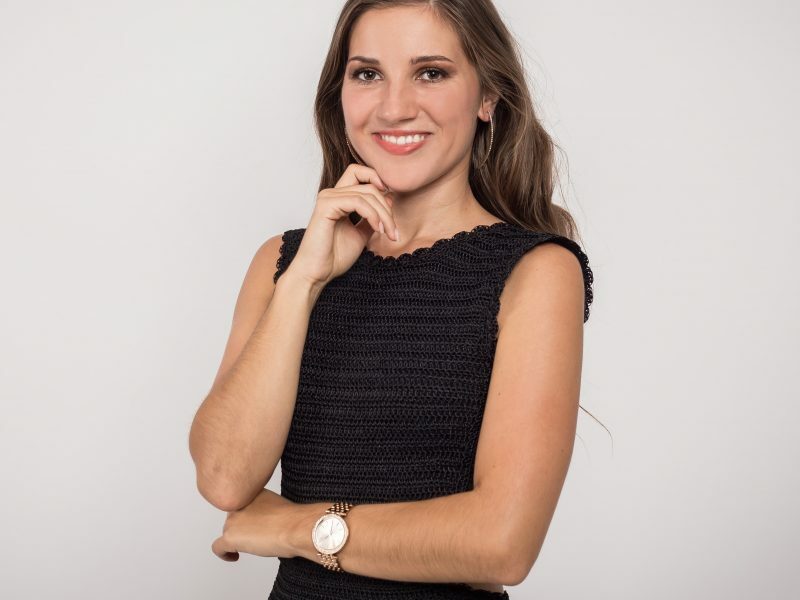 My name is Klaudia Sumegová and I am founder of slovak brand Lazoet. Thanks to this slow fashion brand I and my colleagues combine our passion for handmade creation and sustainable fashion. In Lazoet, we are producing crochet formal and wedding dresses, skirt and tops, that due to their timelessness far outlives seasonal trends. Our story began to write to my graduation ceremony, when my mom made me as a gift first dress. It was such a small experiment that have a huge success. After this, it encouraged my mom to the next handmade pieces. Crocheting of dresses was her big hobby, thanks to I and my sisters had for unique dresses on each event cared for. And the praise of faith was not an emergency. In this time I finished my university and thought a lot about my future. I knew, I want to go my own way and do something what has also a deeper meaning. One day, I realized it. At home, we have beautiful handmade dresses that can not be bought elsewhere, and it would be a shame to leave them just for us. I should show it to world and increase awareness about handmade creation in this industry. I felt, it is right way for me and I started to work. It was long and challenging journey full of education, designing, crocheting or mating. With the help of lot of people, at autumn 2017 was our brand, eshop and first collection of crochet dresses in the world. Behind every dress, there is honest handmade work, lot of time and patience. Our goal is to do sustainable fashion that mirror the return of femininity, elegance and traditions. We try to make our clothing as unique as their wearer. And of course, we focus on quality, not quantity. At the same time, we would like to raise awareness of handmade creation. Most of our grandmas knew how to crochet or knit. They did their clothes during evening little by little. Nowadays, when everything replaces machines, only few young woman know how to crochet or knit. And it is a pity. Thats why we would like to brings back to the fashion industry the beauty of original handmade products. We want get this traditional art again closer to the young generation. And perhaps, some of you we will inspired to catch a hook and make something nice to yourself. We believe, that you also fall in love with our handmade creation!